The Sure Shot Owl / Prima AF-7 of March 1994. 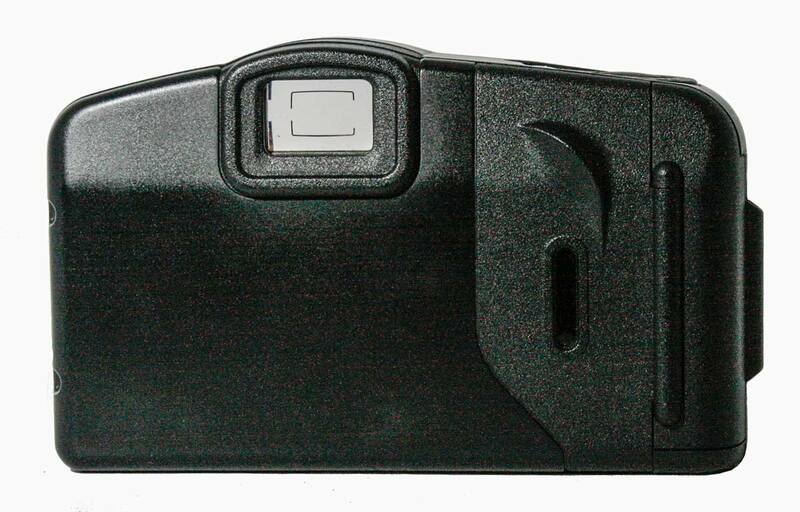 The slide switch under the lens turns the camera on or off and opens and closes a lens cover. 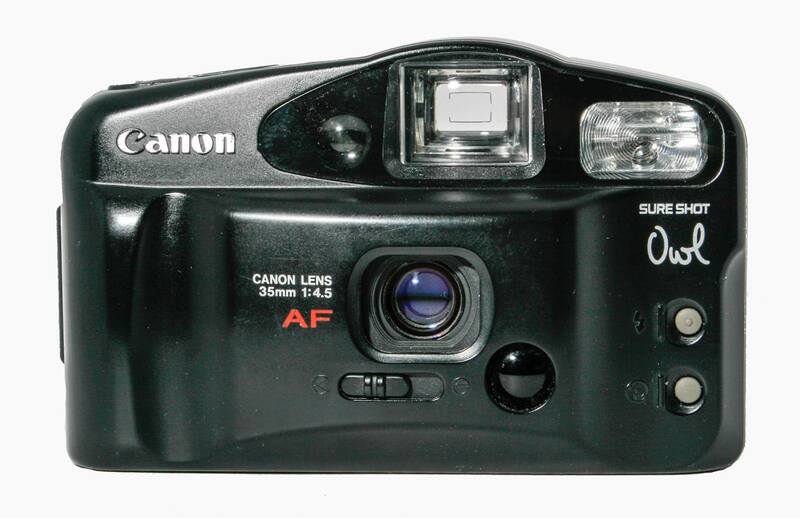 Thanks to Canon there is great confusion about this camera. When researching it I found the internet to be every which way about correct model designations. But I think I have it figured out. Canon did two things which have given rise to the confusion which we will get to below. 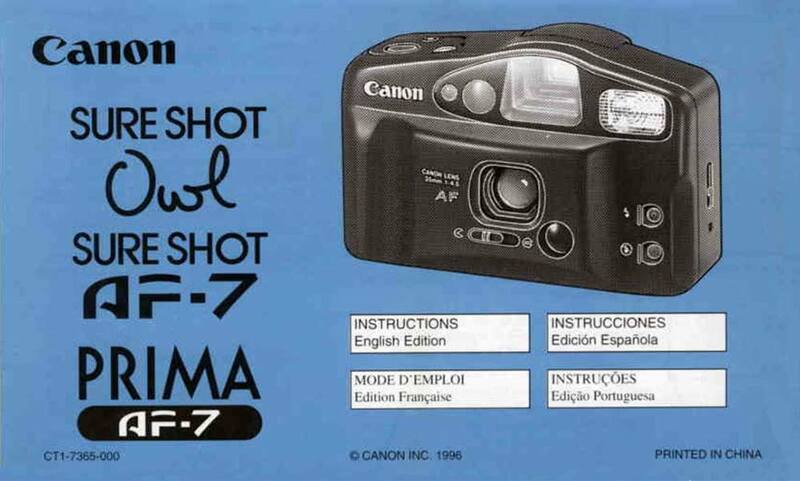 The Canon Museum reports the first Sure Shot Owl was released in March of 1994. It was not released in the Japanese home market but was called the Owl in North American and the Prima AF-7 internationally. The first thing that strikes you about this camera is the viewfinder: it is bright and beautiful! It is a really great viewfinder. The camera has a fixed focal length lens of 35mm with an aperture of f/4.5. It is composed of three elements in three groups. A really simple lens but I look forward to seeing what Canon was able to do with three pieces of glass. The small switch under the lens opens the lens and turns the camera on. The top of the camera is uncluttered. Under the shutter button is the self time buttion (left) and the mid roll rewind button (small button on the right). On the back is …. well, it’s the back! xposure is automatic and there is no ability for manual control. The shutter can be one of 4 speeds, 1/70th, 1/100th, 1/125th and 1/180th of a second. The camera reads the DX code from the film canister. There is no provision to set the film speed. It is programmed for ASA 100, 200 or 400 only. In low light conditions the flash will fire in automatic mode but it may be forced to fire or be turned off. The auto focus is based on an infra red light emitting diode which sends out a beam of infra red light that the camera then uses to focus on. This means that focus is largely independent of ambient light levels. Focus is very simple with only three fixed distances one of which the camera chooses automatically. Film advance and rewind is automatic in both directions although somewhat noisy. Shooting the camera, for a modern DSLR user, takes some getting used to. 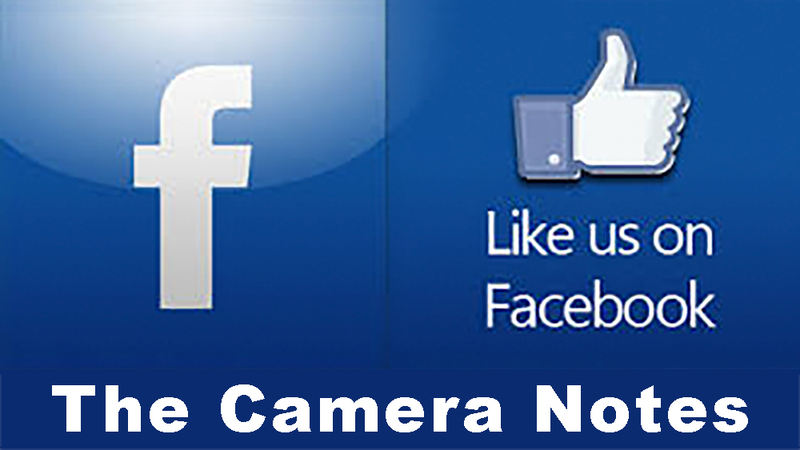 Firstly, there is nothing to do except point the camera and press the shutter button. There is no feedback from the camera on what is happening. You don’t know what shutter speed was used, you don’t know what f/stop was used, and you don’t know what focal distance was used. Very disconcerting for someone used to controlling every aspect of the process. I must acknowledge the help of Michael Butkus and his Film Camera Manual Library for the manuals used in this article. They were invaluable in figuring out how Canon had confused this camera’s lineage. This particular manual had four languages in it and Michael had only scanned the English portions but there were bits and pieces of other languages left. So I reformatted the whole thing for inclusion here. Do check out the Butkus website. It is a wonderful aid to the camera collector. Internally there are no surprises. Loading film is simplified by a Quick Load System that works really well. Simply lay the film leader across the film guides to the red marks and close the back. Condition: Cosmetically excellent. This camera is basically in new condition although the lanyard is not complete. Function: Appears to work well. The flash functions. Condition: Cosmetically excellent. This camera is basically in new condition although, again, the lanyard is not complete. Function: All features appear to work well. 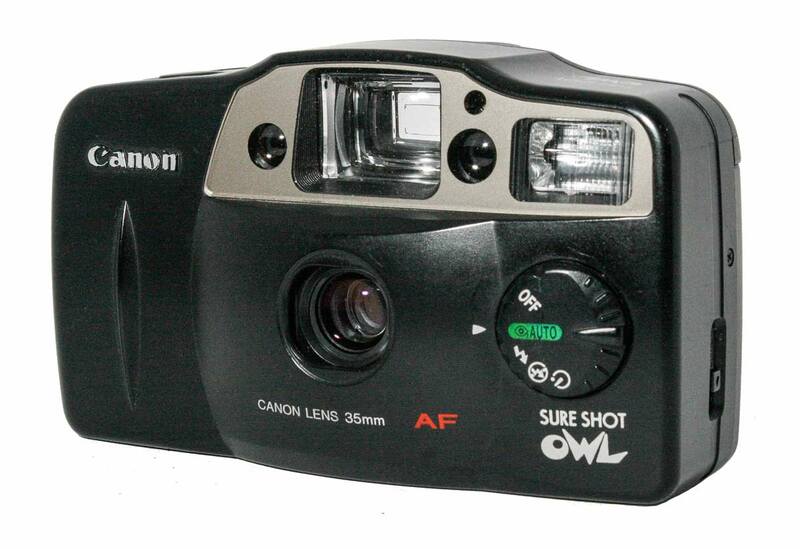 In March 1997 Canon released an upgraded Owl camera called the Sure Shot Owl. Yes, it’s exactly the same name they used on the 1994 Owl. Now that won’t confuse anybody at all, will it? This camera was not released in Japan but was for the export market only. In North America it was called the same thing as the 1994 Owl. However, internationally it was called the Prima AF-8. 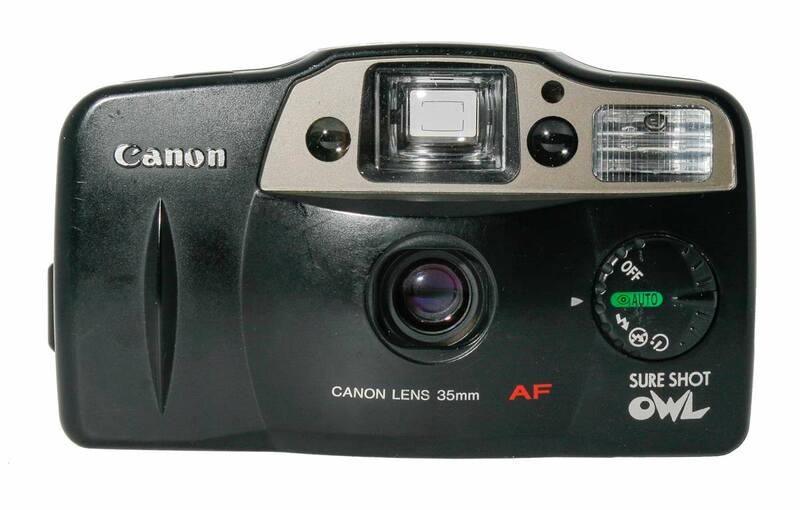 What really caused me confusion was that the photo for this camera in the Canon Camera Museum entry was a photo of the 1994 Owl. They appear to have confused themselves here. The problem is that in trying to figure out the models people, me included, rely on these photos. It was by reading the Museum text carefully and by looking at the User Manuals that I became aware of what had happened. 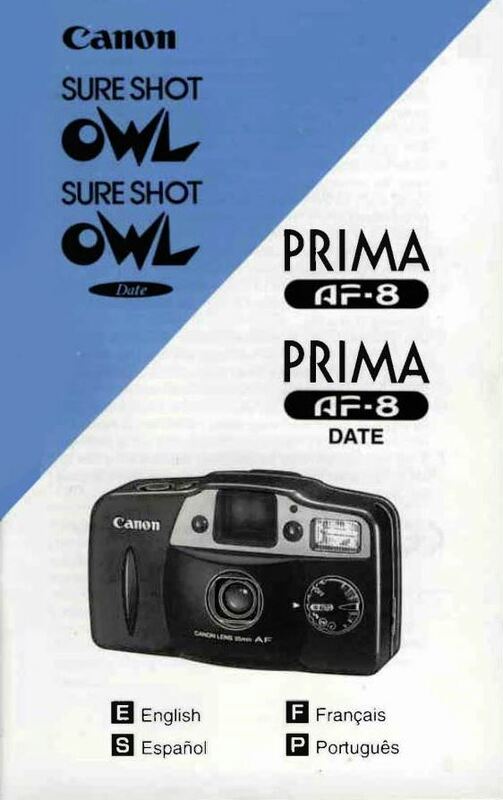 This is the Sure Shot Owl of 1997, called the Prima AF-8 internationally. I know that from reading the manuals I obtained from Michael Butkus. I certainly didn’t learn it from the Canon museum. But once you know this, then it all falls into place. So this new Owl is an upgrade? Right? Well, I am not so sure. 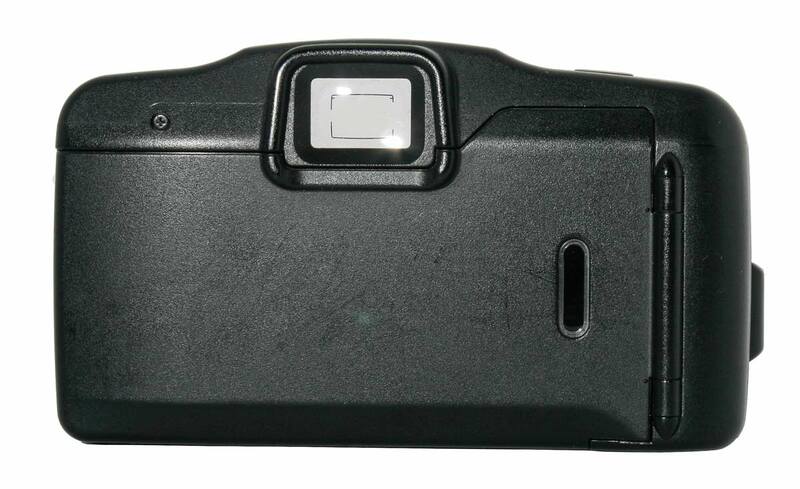 The on-off switch is now moved to the dial on the front of the camera as is control of the flash and the self timer. But other than the functions moving to the dial on the front there seem to be no new features. Same lens. Same method of focusing and measuring the exposure. Set the specs from both manuals side by side and compare and there is little to chose between them. This seems to be a cosmetic upgrade at best. 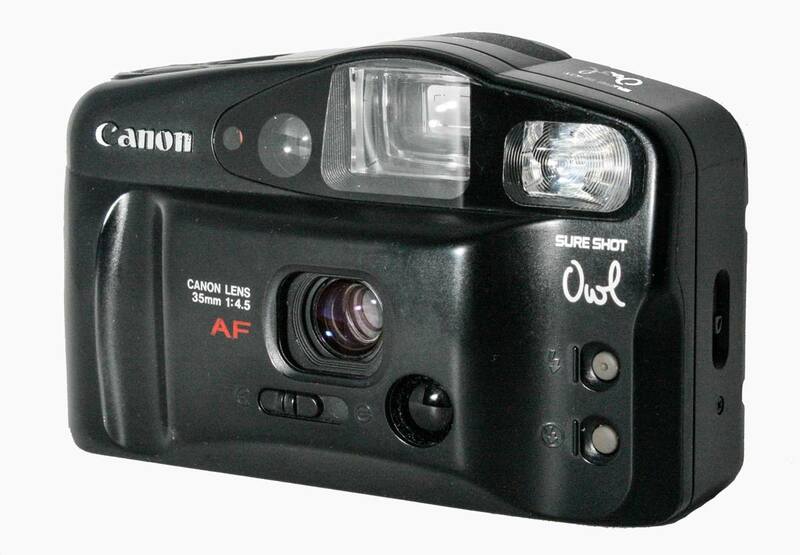 Again, inside the camera is simple and very similar to the 1994 Owl.